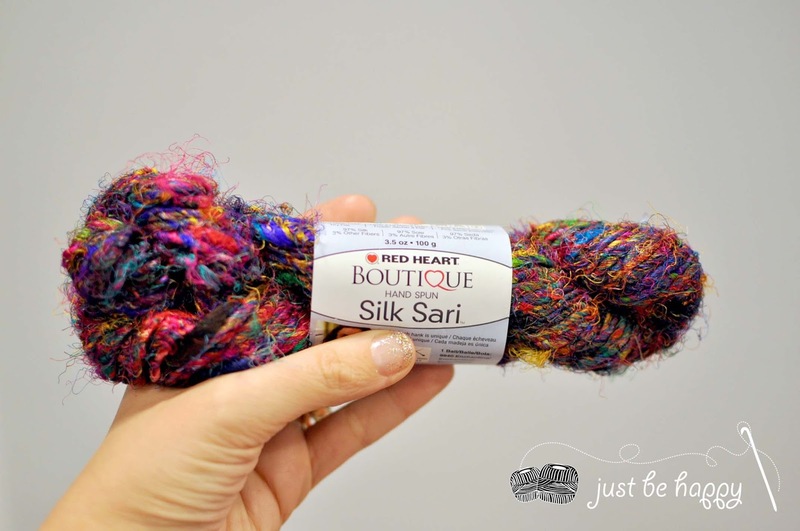 For this round of Design Wars I decided to step out of my comfort zone and create with a handspun yarn, Red Heart Silk Sari and oh, I am so glad I did! 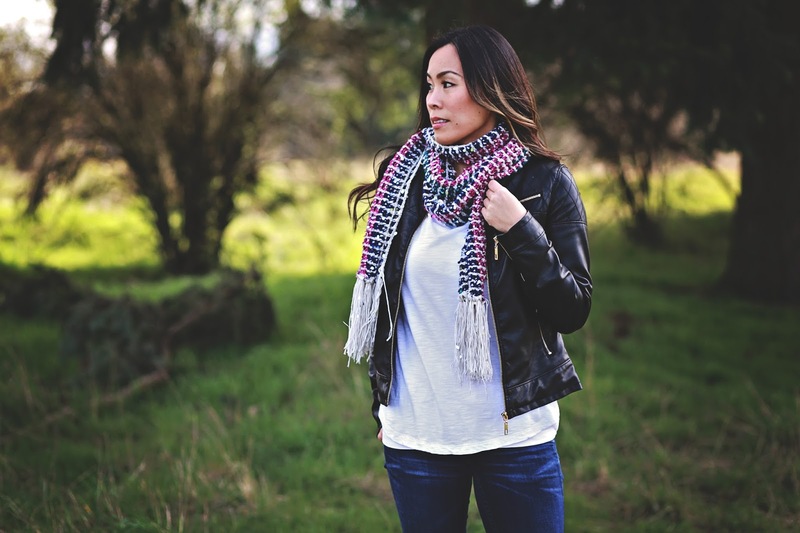 I created the Urban Scarf, a boho style scarf that is easy to make, but full of texture and color. Use the coupon code DWSALE from Thursday 04/23 thru Sunday April 26, 2015 and get this pattern 40% off! The colors are magnificent and the yarn is soft. The thickness of the yarn changes from thin (DK weight) to thick (bulky weight) which creates a beautiful and natural texture. I paired the silk sari (enchanting color way) with black Red Heart Soft, I wanted to make the colors pop and I think the black helps with that. 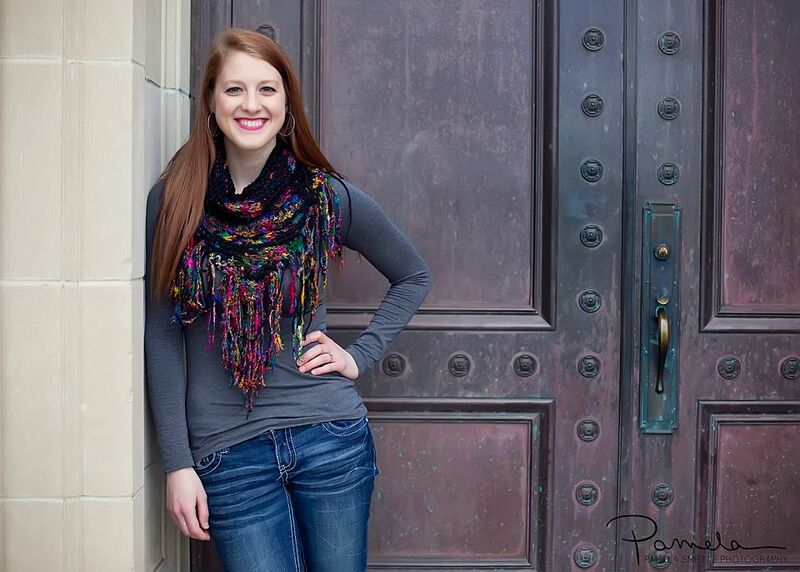 This is my Uptown Scarf and I think it would be stunning if made with Silk Sari! This design is 40% off thru Sunday April 26, 2015. No coupon needed! The pattern has been marked down for this period of time. Do you like my design? I love hearing from you, so please make sure to leave a comment! 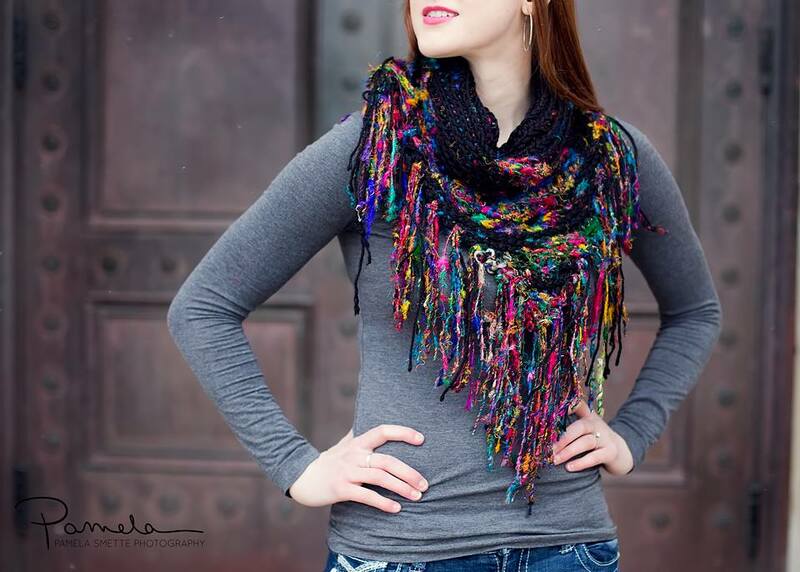 Love this scarf, very colorful and unique! Beautiful scarf...I LOVE silk sari yarn! I do like your design - nice! That sari silk is so cheerful, and it really does pop with the black. This might make a great Mother's Day gift!